Yoga can strengthen a person’s body and calm their mind. However, the whole yoga practice—going to class, interacting with a teacher—can cause stress if a student has experienced trauma. 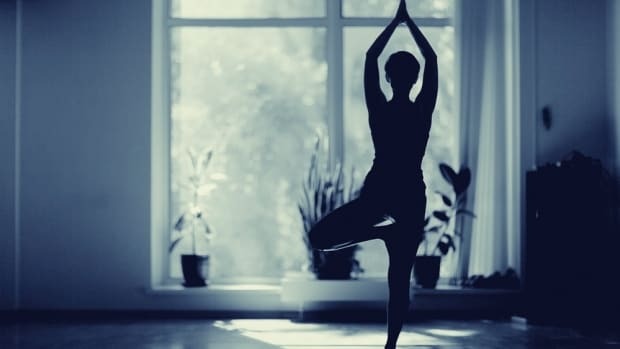 We reached out to a handful of yoga and medical professionals and asked them to explain how yoga is beneficial for many trauma survivors and detail how some survivors approach their yoga practice. 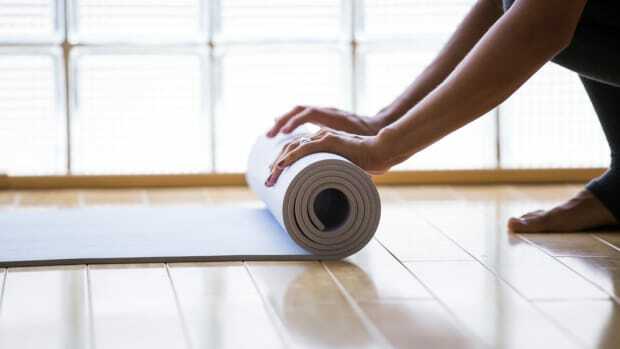 Yoga can serve as a healing tool for people who have experienced trauma. In general, a yoga practice teaches people how to remain present, slow down their breath, and become acquainted with their bodies, Diane Malaspina, PhD., Yoga Medicine® instructor, and psychologist says. So, a yoga practice can help stimulate the part of a human&apos;s nervous system that is related to calming, soothing, and healing the body, brain, and mind. "Through yoga, we learn skills that can help us regain a sense of ownership over our body and experience,” Malaspina explains. In 2014, a study demonstrated that yoga is a useful adjunctive treatment for PTSD, Dr. Srini Pillay, Harvard trained practicing psychiatrist, adds. Basically, yoga can help survivors tolerate physical and sensory experiences associated with fear and helplessness. Yoga also can help survivors become more emotionally aware and manage their emotions more effectively. “Debriefing may not actually be helpful,” Pillay adds; “focusing on resilience is key. Brigitte Gordon, doctor of nursing practice (DNP), board-certified psychiatric nurse practitioner, and past yoga teacher and practitioner, adds that the “best” type of yoga is different for everyone. Ideally, a trauma survivor should work with a yoga teacher who is sensitive to their needs, Dr. Christopher Willard, licensed psychotherapist, educational consultant, and author, says. Survivors also could benefit from working with a teacher who is versed in adapting practices, poses, and classes for people with PTSD. 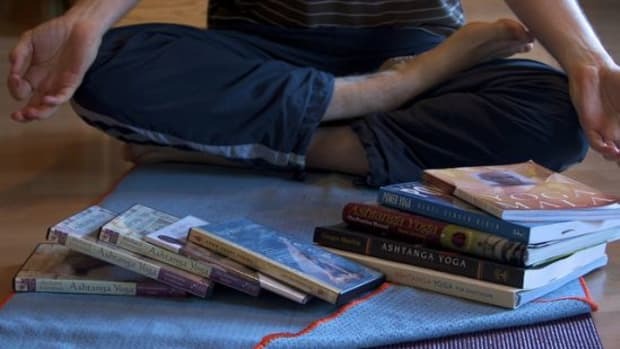 Willard adds that there are many therapists who have experience with trauma and yoga; many therapists are also yoga instructors. “These [people] can be a great resource, so ask your therapist if they teach or have recommendations,” Willard says. Some survivors gain comfort by coming to class early. This allows the student to familiarize their self with the studio, bathroom, and exits. Arriving early also allows the student to place their mat in a place that makes them feel comfortable. Trauma survivors also could benefit from finding a class that allows students to discretely tell a teacher they don’t want hands-on adjustments. “Studios are now offering smooth stones that a student can place on the corner of their mat to let the teacher know they don’t want touch," Gordon says. Gordon adds that a studio with an inclusive website that shows pictures of students and teachers who "look like them" (size, shape, ethnicity, etc.) can induce calm. If you start crying or feel emotion arising after class, allow your emotion to release. “Holding the emotion in creates more tension in the body and mind,” Malaspina explains. “Crying stimulates the cranial nerves which soothe the emotional center in our brain." Malaspina adds that it’s also common for students to cry during a yoga class. After class, if you still feel raw or filled with tension, take slow deep breaths. "Emphasize lengthening the exhale, which soothes the nervous system," Malaspina says. And if your feelings are overwhelming, reach out to a mental health professional for additional support. Hot Yoga Transformed Actress Kaley Cuoco’s Body: Can It do the Same for Yours?